What Does the New Testament Teach About the Trinity? While I was in seminary, one of the classes that unexpectedly changed my life was Trinitarianism taught by Dr. Scott Horrell. To my shame, I’d long confessed the Trinity, but I’d never really given much thought to the eternally mysterious three-in-one. During that semester, the Lord opened His Word to me in a way I’d never experienced before. Until then I’d missed the way the Father spoke of the Son and the delight the Son showed toward His Father. I’d glazed over the Spirit’s quiet adoration of the Son and the Father’s gracious giving of His Spirit. God used the study of that doctrine to turn the Scriptures from black-and-white to color in just a few short months. What follows are a few basic truths about the doctrine of the Trinity and then a run through the New Testament that highlights all (I think) the places the Father, Son, and Holy Spirit are shown together. As you read through these Scriptures, ask the Lord to warm your heart to delight in our eternally glorious God. 1. The word Trinity is not found in the Bible. In this sense, the doctrine isn’t explicitly taught, but it’s implicit instruction is nearly impossible to miss. 2. The One true God eternally exists as three distinct persons: God the Father, God the Son, and God the Spirit. The Father is God, the Son is God, the Spirit is God. But, the Father is not the Son, the Son is not the Father, Spirit not Son. The picture at the top is of the the Shield of the Trinity (sputum fidei) which summarizes this portion of the Athanasian Creed. Allah, Buddah, Krishna, Zeus, Hermes, and all other supposed gods are idols, imposters, and imitators. 4. Father, Son, and Spirit are presented together in about 117 places in the NT, in 23 of 27 NT books (not Philemon, James; 2 John, 3 John), and by 8 of 9 NT authors. James did not present Father, Son, and Holy Spirit in his epistle, but he was present at “the Jerusalem council” in Acts 15:6-11 where each of the members of the Trinity were discussed. He didn’t oppose the idea of the Trinity at that time. What follows are the places we see Father, Son, and Spirit revealed together. The underlined Scripture is accompanied by a brief explanation. Believers are to baptized in the name (singular) of the Father, Son, and Holy Spirit (three distinct persons). Jesus the Son was anointed by the Holy Spirit to do the work of the Father who affirmed Him. God the Father sent word to Mary that Jesus the Son, who would rule as the king of Israel, would be born to her through the power of the Holy Spirit. As Jesus prepared to go to the cross and back to the Father, He promised His disciples He would send the Holy Spirit to give them understanding and peace. 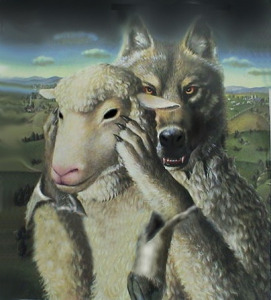 The Holy Spirit has appointed leaders to shepherd and protect God’s church which He purchased with the blood of Jesus. We have peace with God the Father through Jesus His Son which we know because the Holy Spirit reassures us of His love. God purchased His people by the blood of Jesus and united us into His body through the Holy Spirit. This should lead us to flee from sexual immorality because we belong to the Father who keeps us in His Son by the Holy Spirit. God gives us assurance and security in Christ by sealing our hearts with the guarantee of the Holy Spirit. God the Father fulfilled His plan of salvation by sending Jesus to redeem us and make us His sons which now leads us to cry out “Abba” to Him by the Holy Spirit He has given us. 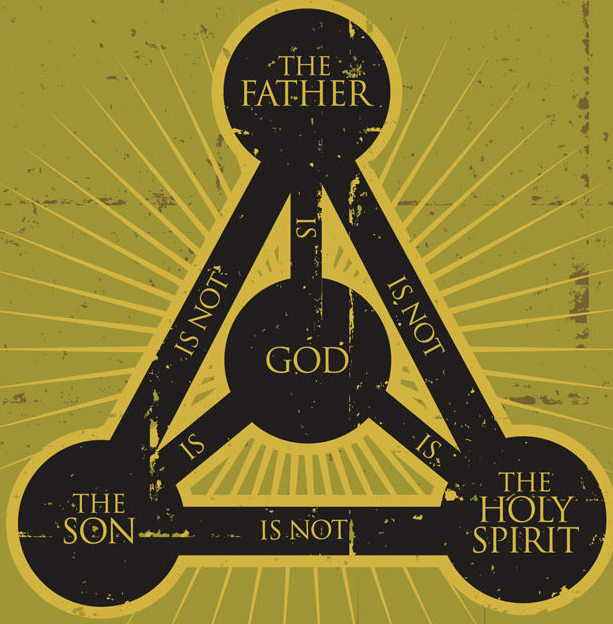 Our salvation is completely Trinitarian. The Father chose us and predestined us in eternity past (v3-6), the Son redeemed us through His blood and grants us forgiveness of sins (v7-12), and the Holy Spirit seals us as a pledge that God will fulfill His promises (v13-14). All is done for God’s glory (v6, 12, 14). Because of our fellowship in the Holy Spirit, we should imitate Jesus’ humility which He displayed in not clinging to His position of glory with the Father. Epaphras, a minister of Jesus, had shared the Gospel of God the Father’s grace with the Colossians and testified of their love in the Holy Spirit. Believers are called to obey God’s will in Christ Jesus by being thankful and not quenching the Holy Spirit. God chose His elect to be saved by the truth of the Gospel and the power of the Spirit which results in sharing in the glory of Jesus Christ. God’s church is called to uphold the truth about Jesus and heed the Spirit’s warnings about false prophets. Timothy is encouraged not to be cowardly in his witness of Christ but rather to suffer faithfully in the power of God as he guards the Gospel by the power of the Spirit. God acts as our Savior by regenerating us through the Holy Spirit whom He gave us through Jesus Christ. The Holy Spirit (v15) testifies that Jesus is the fulfillment of God the Father’s New Covenant promises. Christians can rejoice in the midst of suffering because God has given us His Spirit as a mark of His glory. Apostles made known the power of Jesus Christ (v16) through the Scriptures which were inspired by the Holy Spirit spoke from God the Father (v21). We have confidence before God the Father (v21) because we believe in and obey His Son Jesus (v23) and continue to abide in Him by the Holy Spirit (v24). Believers persevere in the love of God as they wait for Jesus to return by praying in the Holy Spirit. We have the great hope of one day seeing the face of God the Father (v4), but until that day the Spirit and the Son call for unbelievers to come and drink of the water of life (v17). My hope in setting these Scriptures before us is that we will be stirred to draw near to the God who has eternally dwelt in a perfect relationship of love, and now calls us to enter in as well. If a study of the Trinity seems too deep or overwhelming, remember that childlike faith is never turned away by our heavenly Father. Come and delight in God who mercifully calls us to the Father, through the Son, by the Spirit to enjoy Him forever. Here’s a few helpful books to help your study of our great God. Picture courtesy of Sean Gerety who blogs at godshammer.wordpress.com. This entry was posted in Doctrine on July 28, 2014 by garrettk.